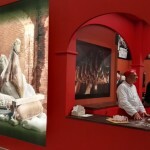 Veroni’s “ancient know-how” is used in this special production process. 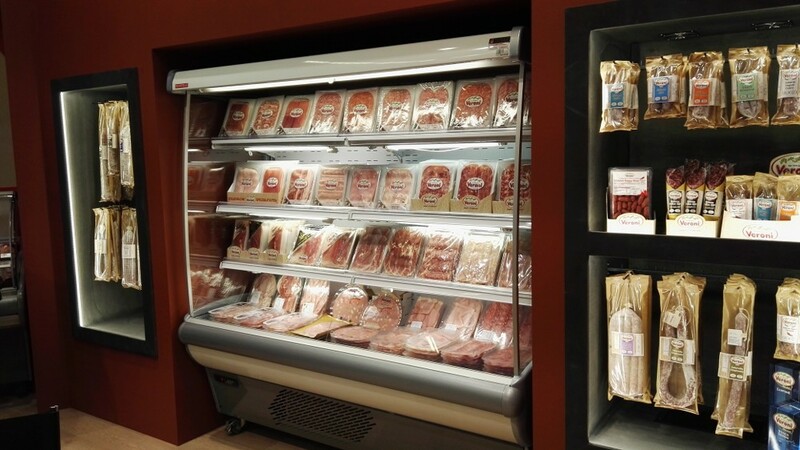 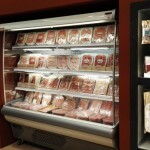 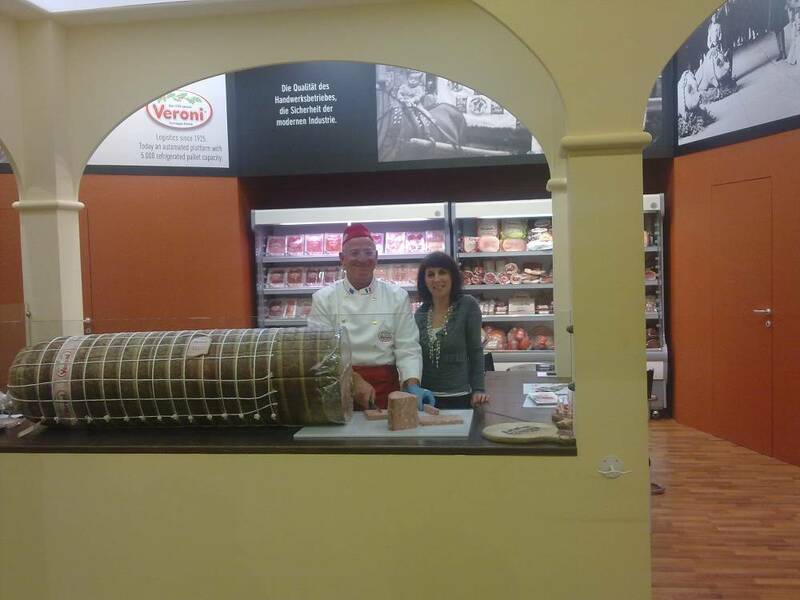 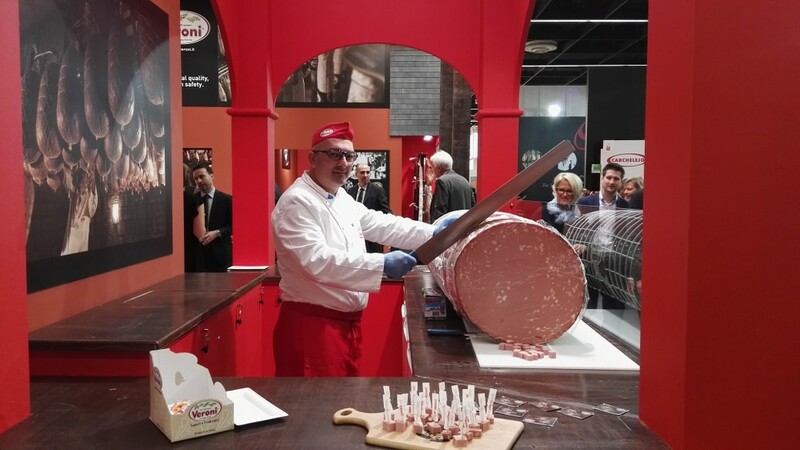 It follows the original recipe, which has been perfected over time and involves the use of a high-quality 100% pork mixture that is processed and cooked in accordance with the “secret” methods that make Veroni mortadella truly special and unique. 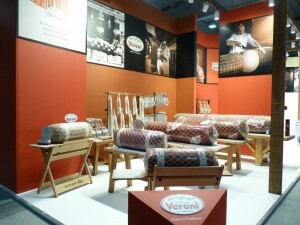 The casing is carefully selected and hand-stitched by expert seamstresses. 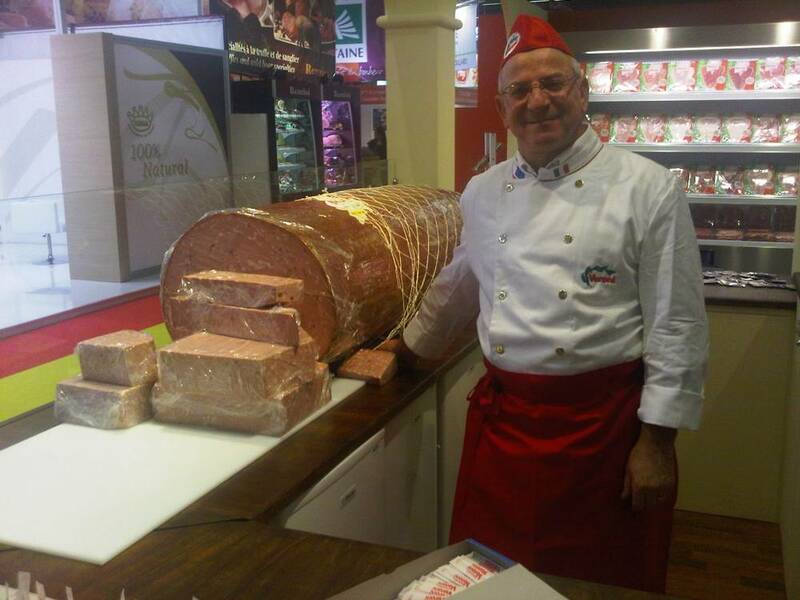 The resulting mortadella has a delicate flavour and a pleasant smell, fragrant and lingering on upon slicing; a true enticing for young and old. The “Guinness” mortadellas really are registered in the Guinness book of records! The name indeed indicates the level of excellence the Veroni company has always demonstrated with the production of these still unparalleled products. 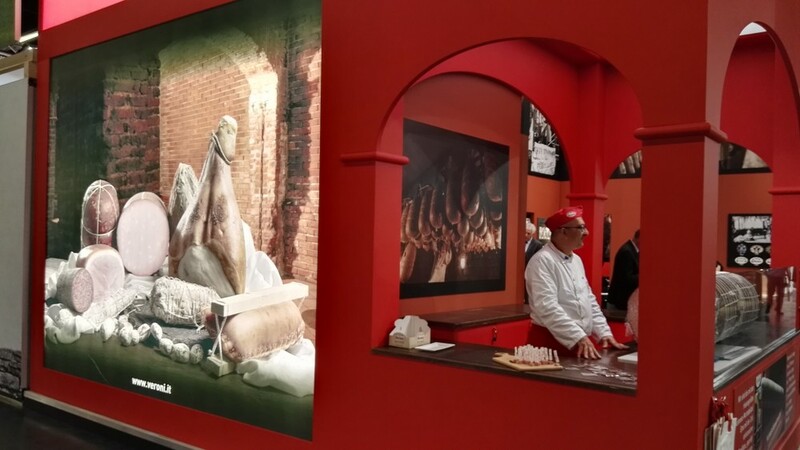 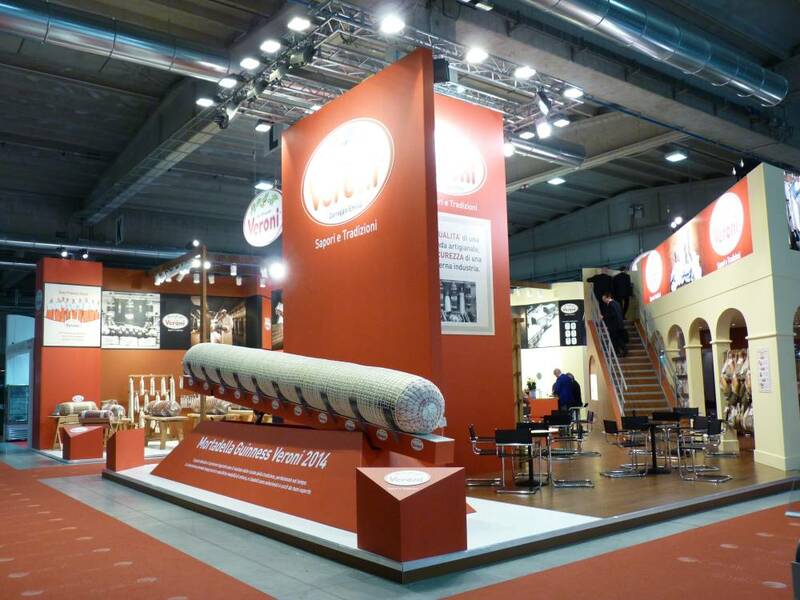 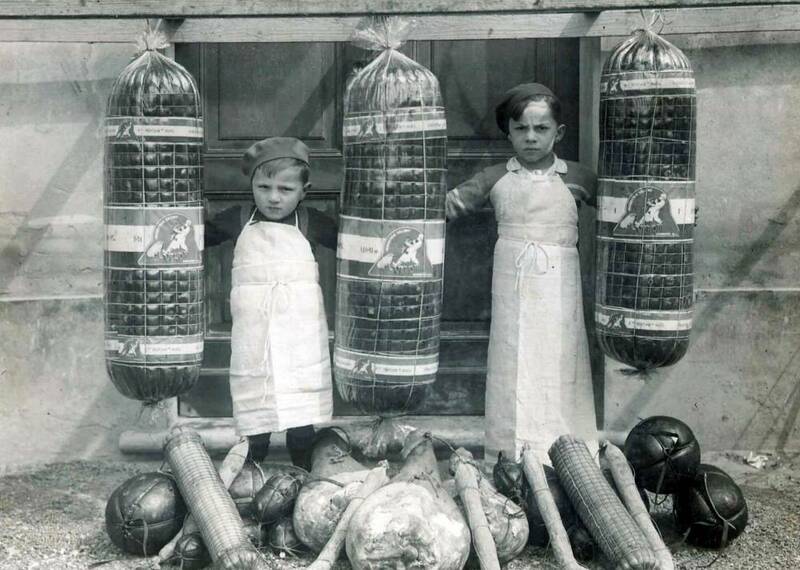 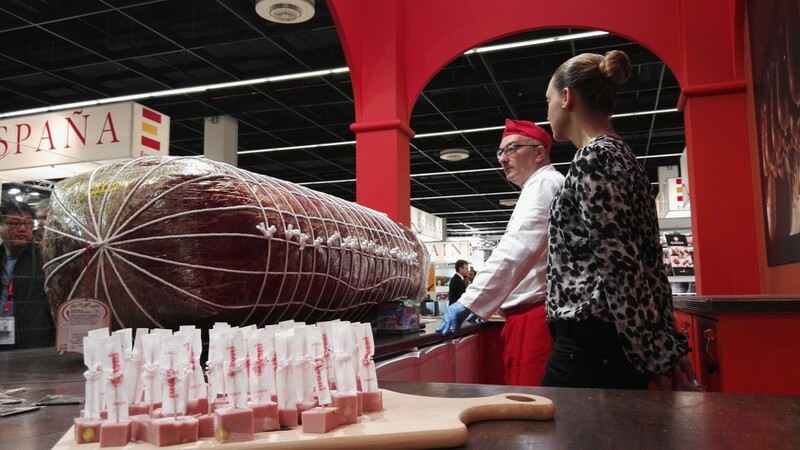 The results approved by the Guinness book of records date back to the years 1988-89-90-91-92 and 1993, while in 1994 and 1996 the approval and simultaneous presentation of the mortadella to the public took place at Cibus, the International Food exhibition held in Parma in Italy. 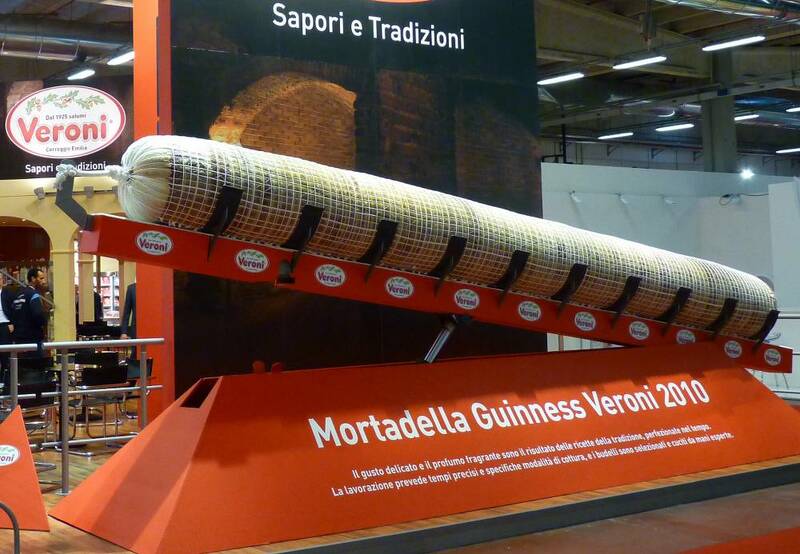 In 1994 the “Guinness” mortadella weighed 2.030 kg and was about 7 m long, with a circumference of 2 m and a diameter of 64 cm. 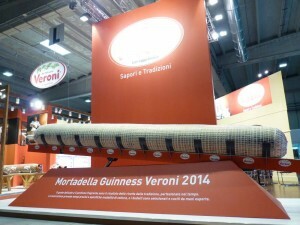 The sewing of the casing took 2 weeks of work for a group of skilled seamstresses. 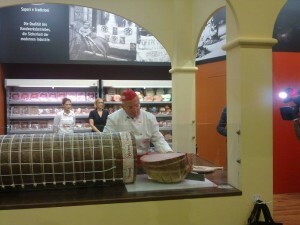 The tying of the mortadella required overall, including the net and the pieces of cord for pulling, more than 1 km of rope. In 1996 the record was beaten once again. 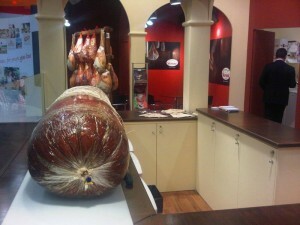 The “Guinness” presented weighed 2.680 kg, had a circumference of 2.30 m and a diameter of 75 cm. 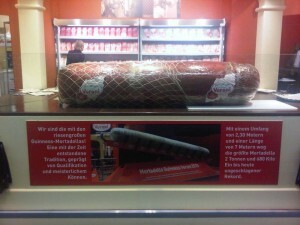 Many years have passed, there have been some imitation attempts from competitors, however this record is still unbeaten! 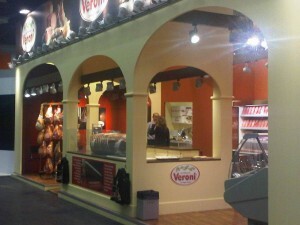 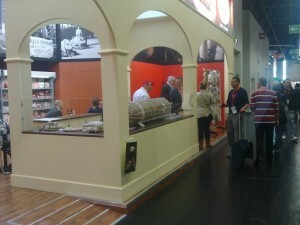 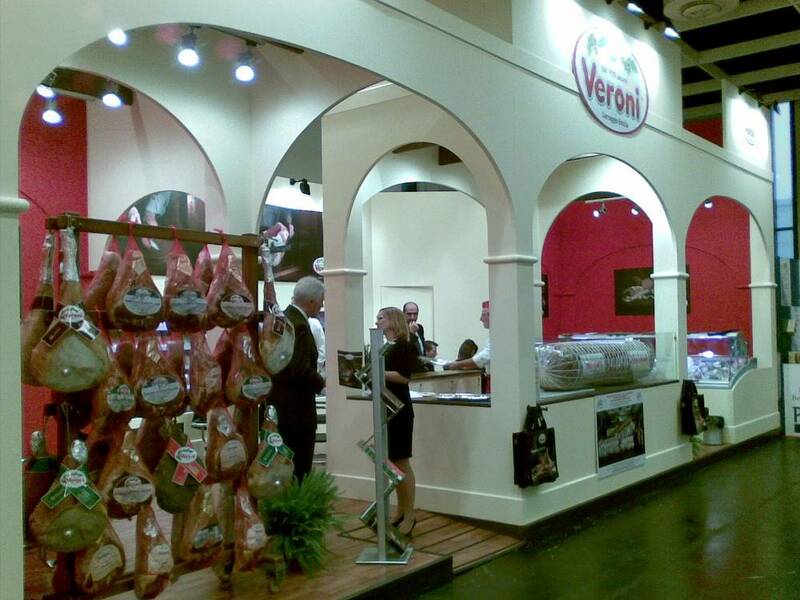 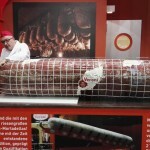 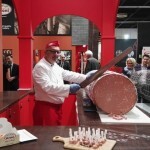 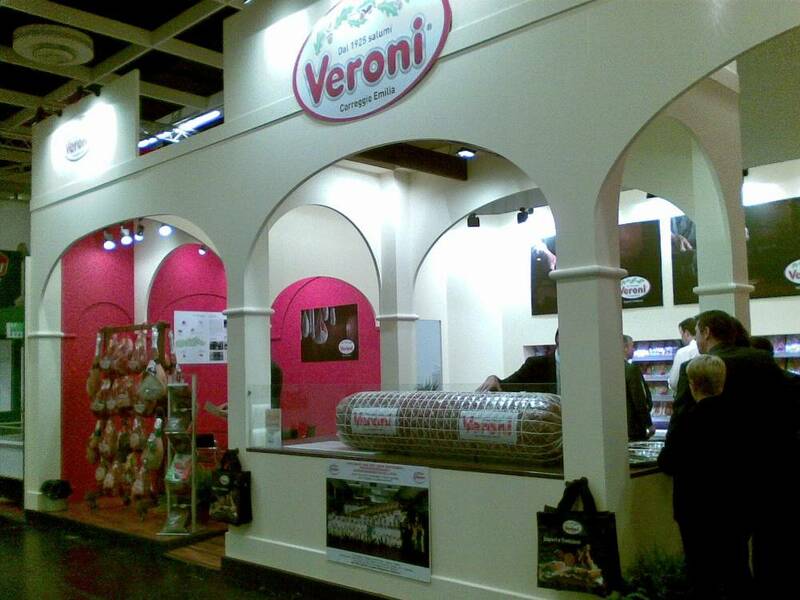 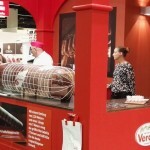 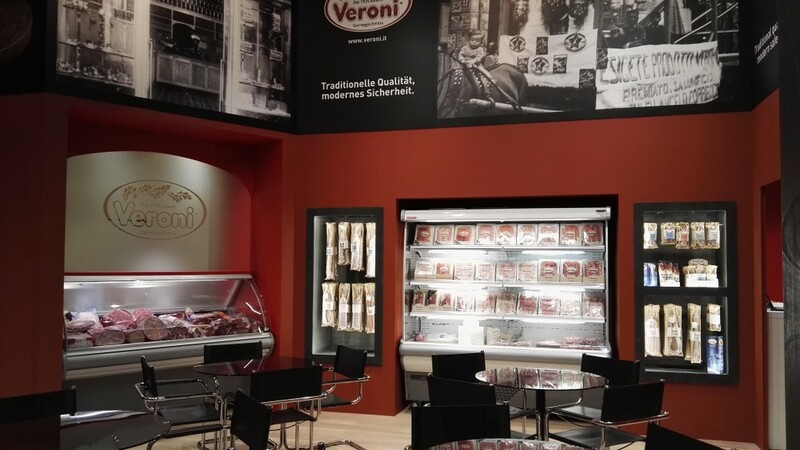 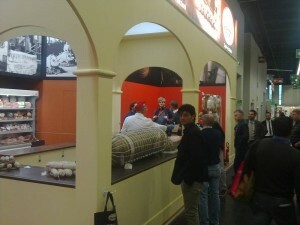 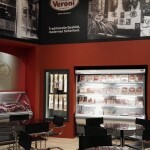 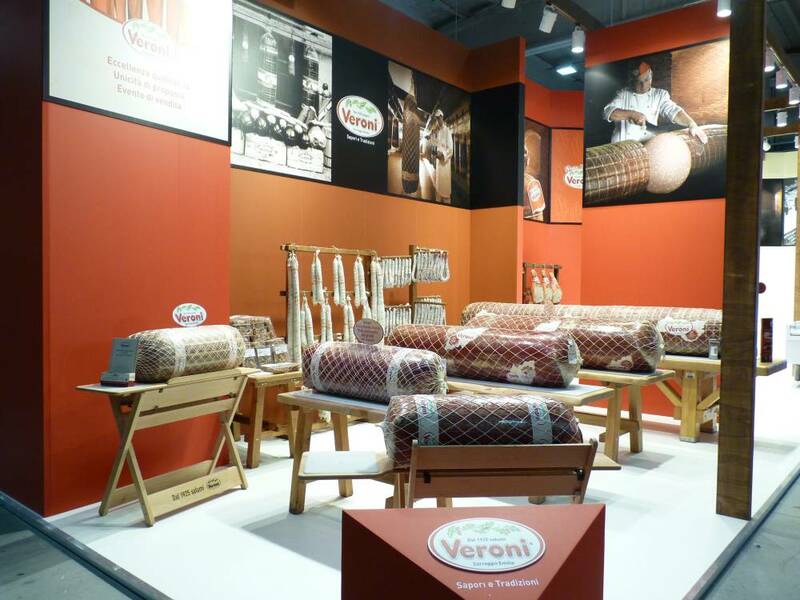 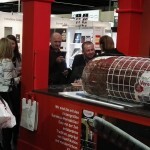 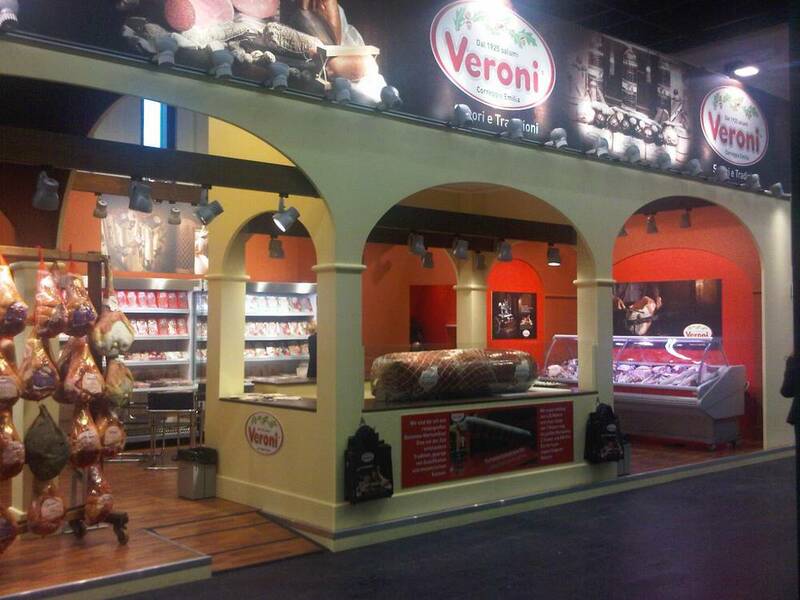 Veroni mortadella at Anuga The most important food fair in Koln (Germany). 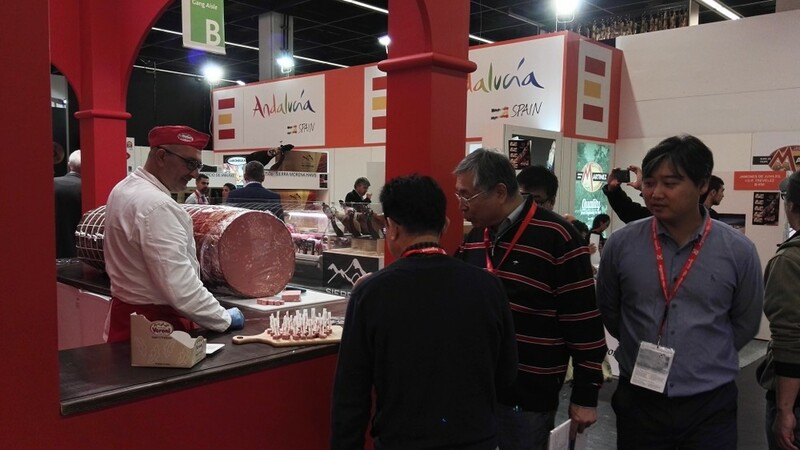 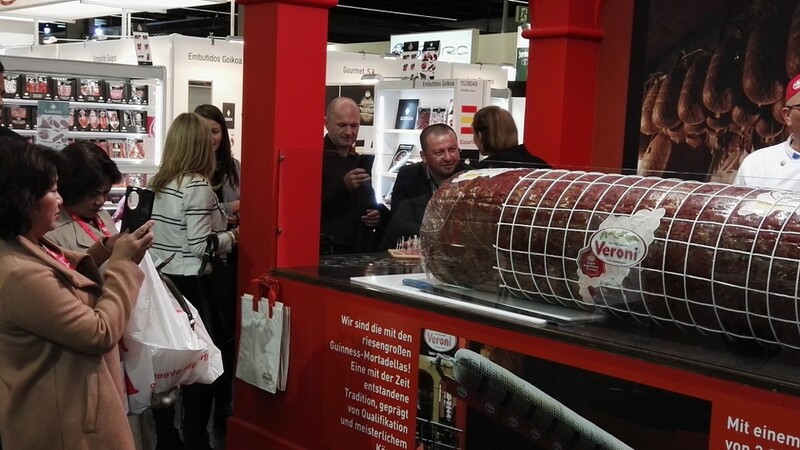 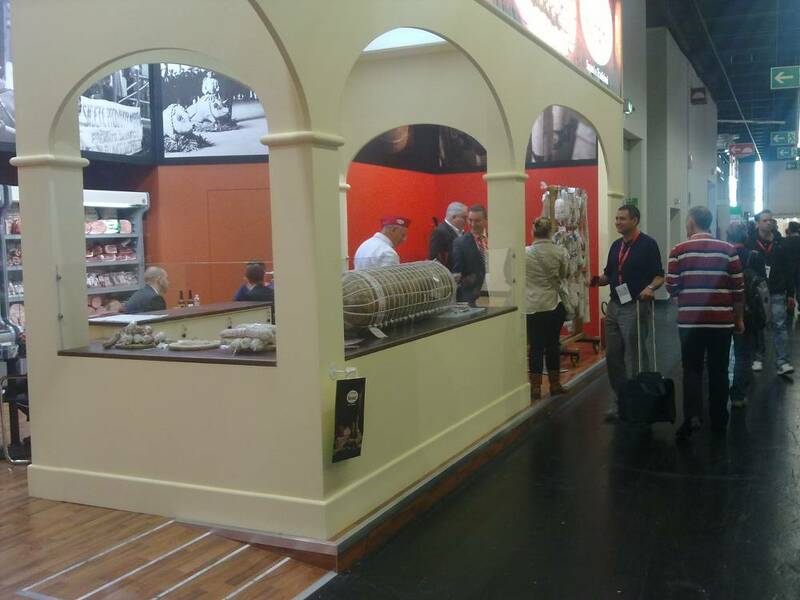 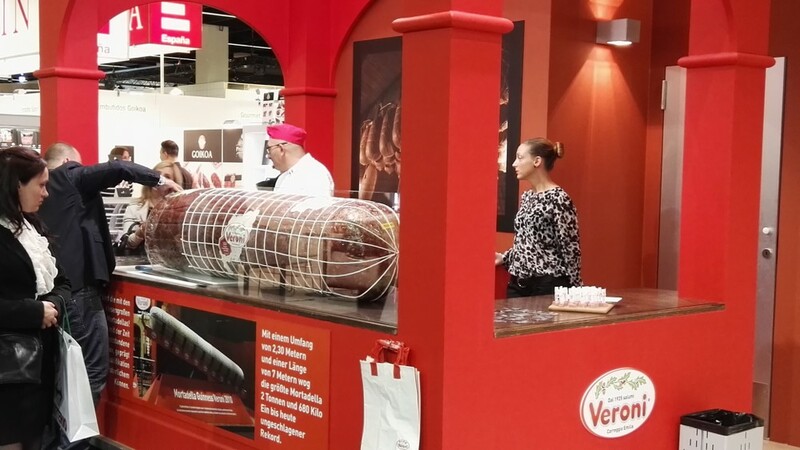 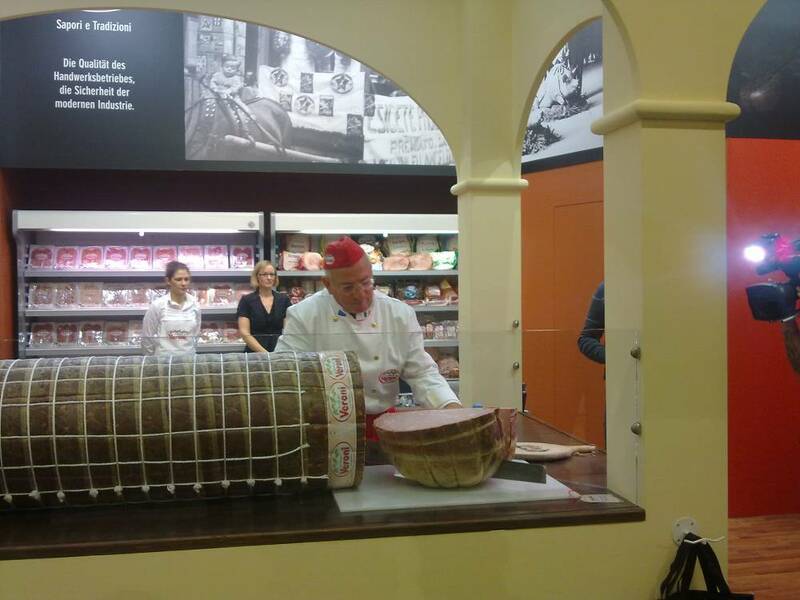 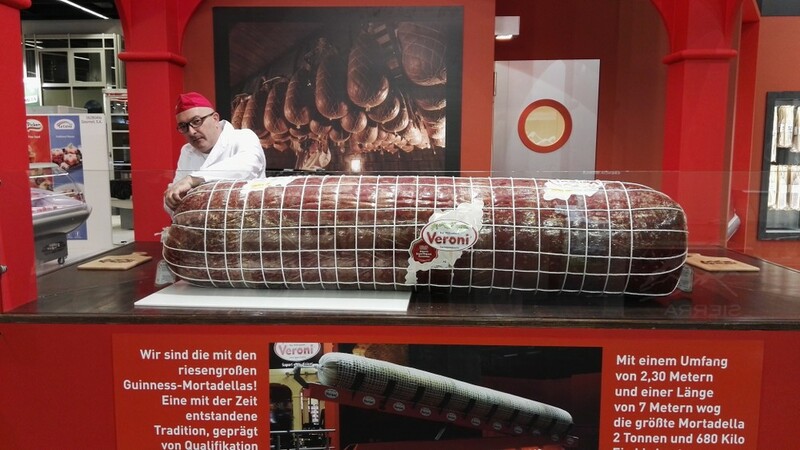 It was a great success: five days in which our giant mortadella captured the attention of the large audience who crowded the Germans halls. 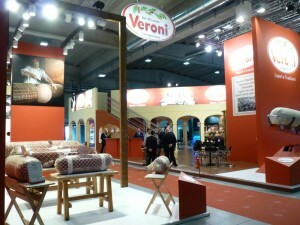 International shows and fairs whith our giant mortadellas.